Sorry for the delay today. Enjoy! 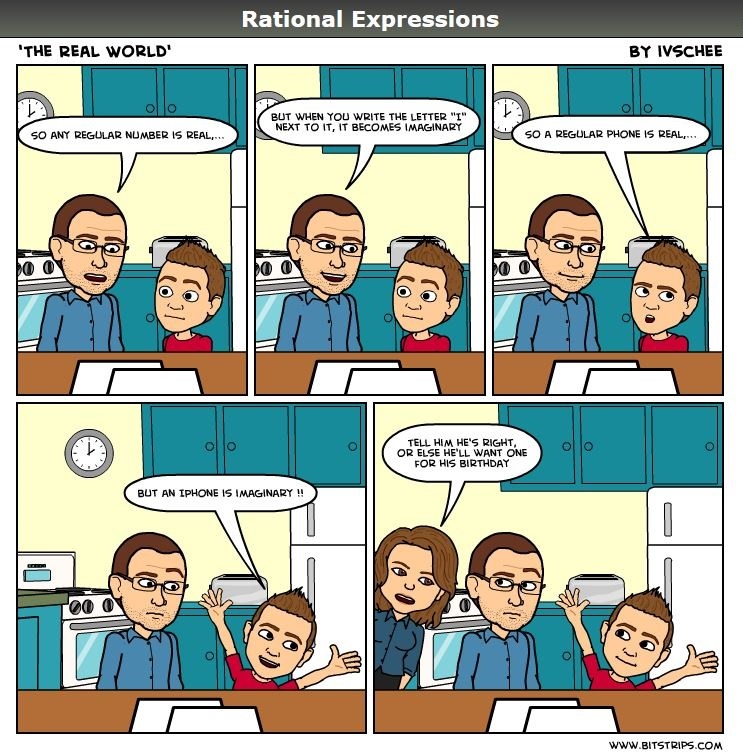 Posted on March 25, 2013, in Rational Expressions - A Comic Strip. Bookmark the permalink. 1 Comment. I love it! I may have to use this line on my son. iphone is imaginary, get an android!